Square Enix has just announced Kingdom Hearts: The Story So Far, which collects the entire series to date. It is an aggregation of nine chapters of the Kingdom Hearts series for PlayStation 4. On the whole, So Far it will incorporate six full Kingdom Hearts games and three cinematic accumulations. In KINGDOM HEARTS - The Story So Far -, Keyblade wielders can relive the magical adventures of Sora, Donald Duck, Goofy and friends as they attempt to stop the Heartless invasion that threatens their universe. Fans will travel to iconic Disney worlds and join forces with beloved Disney and FINAL FANTASY® characters in order to fight back against the threat of darkness and bring back light to all worlds. 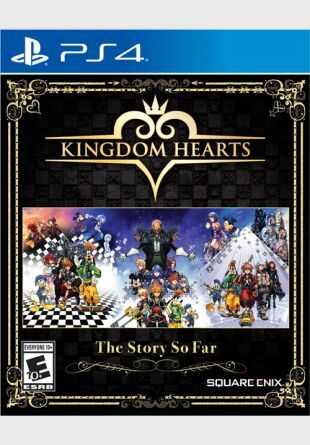 Kingdom Hearts: The Story So Far will launch on October 30 for $39.99. Kingdom Hearts III releases for Xbox One and PlayStation 4 on 25 January, 2019.